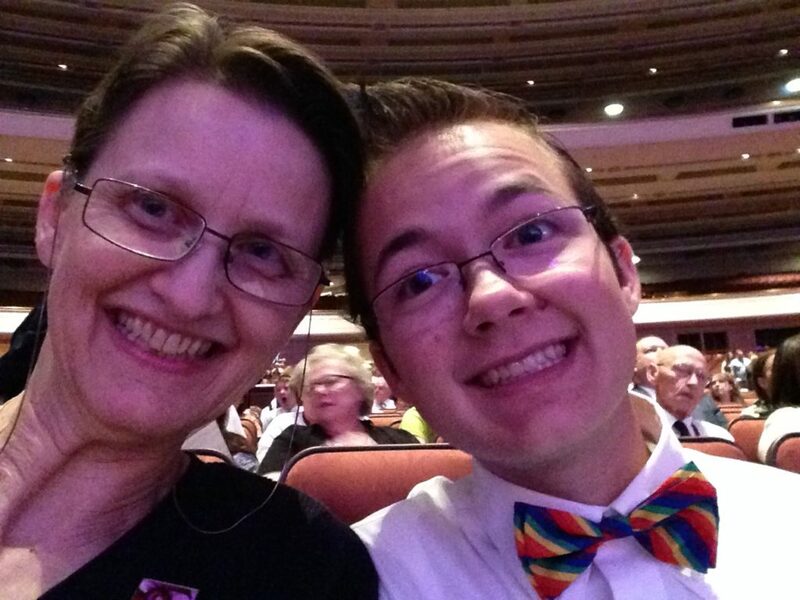 Nearly three years ago, Neca Allgood sat before senators and representatives serving in the legislature of Utah, beside her 19-year-old son Grayson. The two were sharing information about their lives and their story with lawmakers as part of a “Compassionate Conversations” series coordinated by Equality Utah, the statewide organization dedicated to working toward LGBT equality. Neca spoke specifically about the need for Utah to update its existing non-discrimination laws so that people are also protected from discrimination based on sexual orientation and gender identity. She went on to explain more about her son – how he excels at math, how he sings with an LDS choir, how he is an active member of his Mormon community. She discussed the years before he transitioned – the deep anxiety he felt and the challenges he faced focusing in school because he could not live as his authentic self. 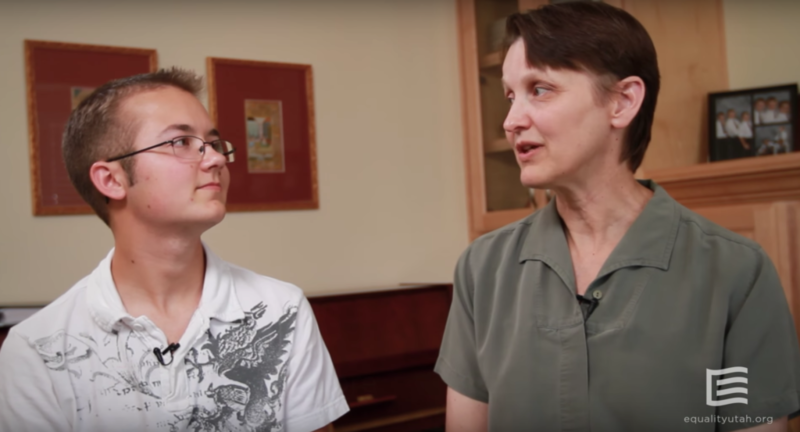 The following year, the Utah Legislature voted in favor of protecting LGBT people in the state’s non-discrimination law – and in the time since that important vote, which made Utah one of just 19 states with non-discrimination protections for transgender people, Neca has begun to see transgender people like her son discussed more widely on a national scale. As an active member of the Mormon Church – and a woman who served for years as a Republican delegate for Davis County and the state of Utah – she knows that her voice and story could help other conservative people of faith like her begin to better understand and support LGBT Americans and laws that protect them. She had been a lifelong registered Republican until the spring of 2016, when she realized with regret that her party seemed to no longer support so many things she cared about. “I have been more and more disturbed as I have watched as my party of fiscal responsibility and balanced budgets turn into a party of anti-Democratic practices, attempts to suppress voter turnout, efforts to discriminate against LGBT people, and on and on and on,” she said. She is sad to see it go – and she would like to see it return. But until it does, she said, she has to vote in the best interest of her community and her family, including her son Grayson. “As someone who is the parent of an LGBT child, how could I vote for someone who is determined to take away my child’s rights to be himself?” she asked. When it comes to LGBT-inclusive non-discrimination laws, she explained that it shouldn’t be hard for conservatives to arrive at the idea that they are vital to strengthening economies and workplaces. Neca has grappled in the past with other institutions that many think to be odds with support for LGBT equality – most prominently her membership in the Church of Jesus Christ of Latter-day Saints. Neca knows that part of that work begins with updating state and national laws to protect LGBT people from discrimination.